Certainly, the builders of Stonehenge or the sculptors of the large stone facades on Easter Island had no idea there was a medical term for the condition that describes the damage and pain that impacts muscles, nerves, ligaments, and tendons caused by overuse or improper technique from performing manual labor or tasks that involve repetitive motion. But perhaps if they would see their doctors today, they would learn that their condition has a name – Repetitive Strain Injury (RSI), also known as Work-Related Musculoskeletal Disorders. Commonly known RSIs include carpal tunnel syndrome, edema, cubital tunnel syndrome, tennis and golfer’s elbow, radial tunnel syndrome. Each can be traced back to performing ongoing, repetitive tasks that involve vibrations, forceful exertions, mechanical compression, or sustained/awkward positions. And while most of us aren’t operating a jackhammer or chopping wood every day, nearly all of us spend the good part of our day pushing a computer mouse around a tiny pad. Symptoms of RSI include tenderness, stiffness and/or a tingling sensation in the affected area, usually in the arms and the hands. Fortunately, there are numerous ways to manage or treat RSI, depending on your particular symptoms and whether a specific medical condition is causing your discomfort. If your RSI is being triggered by repetitive activity on the job, your first priority is to inform your employer or occupational health representative to see if those tasks can be modified to help relieve your symptoms. Often, even minor changes to your work routine or lifestyle – such as reducing the amount of time you spend performing an activity or alternating how you do it – can improve your well-being. And if you can’t stop doing a task completely, then be sure to take regular, short breaks to stretch, move about, or relax the affected area. Ensuring your workstation is ergonomically correct for you also is another way to lessen your risk of having an RSI. Anti-inflammatory painkillers – Used on a short-term basis, medications such as ibuprofen or pain receptor-blocking drugs can help relieve severe symptoms that are also contributing to interrupted sleep. Cold therapy units and support items – These include cold packs, elastic support wraps, wrist braces, or splints. Steroid injections – Prescribed cortisone shots can reduce inflammation in the affected area caused by a specific condition, such as carpal tunnel syndrome. However, studies show that while these injections are effective for older folks with arthritis, they are less effective for people with conditions such as RSIs, tendonitis, and tendinosis. 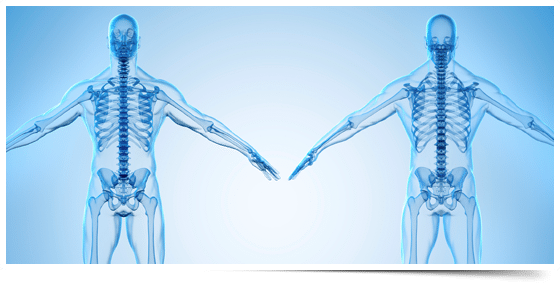 “Hands-on” therapies – Osteopathy, which involves the manipulation and massage of bones, joints, and muscles, has therapeutic value when dealing with RSI. Physiotherapy can also be beneficial in that it uses stretches and exercises to help strengthen or relax muscles, promoting improved mobility and function. This form of treatment is available through a referral from your general practitioner. Surgery – If other treatments don’t help, this last-resort option may be necessary to correct specific problems involving damaged nerves or tendons, such as carpal tunnel syndrome or Dupuytren’s contracture. If you believe you have an RSI and have tried everything, an orthopedic specialist can fully diagnose the extent of your condition and recommend the appropriate treatment to relieve your pain. For more information about Repetitive Strain Injury and other orthopedic conditions, as well as workers’ compensation, call Florida Sports Medicine & Orthopaedics at (850) 763-0346 or request an appointment online. We work with the injured employee, insurance adjuster, and case manager to ensure a speedy and safe recovery.